Pariser, Rudolph - Component of : Early Ideas in the History of Quantum Chemistry. Rudolph Pariser was born in Harbin, China, in 1923 but became a naturalized citizen of the United States of America. He received his B.Sc. degree from the University of California, Berkeley in 1944, then spent more than two years in the US Army and continued his education in 1947 towards a Ph.D. degree at the University of Minnesota where he obtained his Ph.D. degree in physical chemistry in 1950. Pariser spent most of his active life as a polymer chemist at DuPont - during his last ten years at DuPont he served as Research Director for Polymers and Advanced Materials Research in the Central Research Laboratory. He now heads his own company. He is best known for his work with Robert G. Parr on the method of molecular orbital computation now known (because it was co-developed by John A. Pople) as the Pariser-Parr-Pople, PPP- Method . Rudolph Pariser : On the Origins of the PPP Method. Int. J. Quant. Chem, 37, 319-325 (1990). Rudolph Pariser : Bob Parr - Teacher, Collaborator, Friend : A Personal View. Int. J. Quant. Chem, 49, 145 - 146 (1994). Electronic Structure of Complex Unsaturated Molecules. I.
J. Chem. Phys. 21, 466-471 (1953). Electronic Structure of Complex Unsaturated Molecules. II. J. Chem. Phys. 21, 767-776 (1953). An Improvement in the pi-Electron Approximation in LCAO MO Theory. J. Chem. Phys. 21, 568-569 (1953). Dr. Rudolph Pariser is currently engaged as a consultant in the areas of polymer and advanced materials sciences and in research management. As of January 1989, he retired as Director for Advanced Materials Science in the Central Research & Development Department of E.I. du Pont de Nemours & Co., Inc. In this capacity he directed research in the following areas: electronic packaging; information storage and imaging; optical communication; specialty polymers for biomaterial, electronic, high-perfonnance structural and packaging applications; composite materials; and high-temperature superconductors. Dr. Pariser joined the Du Pont Company in 1950 as a research chemist. His early work was primarily in the field of quantum chemistry and led to the development of a theory now known as the “Pariser-Parr-Pople“ method, which is still widely quoted and forms the basis for many of today‘s quantum chemical calculations. Dr. Pariser‘s later research was in the polymer science area. 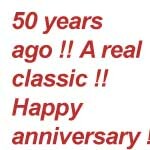 In 1954, he was named Research Supervisor and since then has held a number of polymer research management positions. In 1974 as Director, Pioneering Research, Elastomer Chemicals Department, he managed the development of several new products, including “Hytrel“ polyester elastomers, “Vamac“ ethylene acrylic elastomer, “Kalrez“ perfluoroelastomer parts, and several new “Viton“ fluoroelastomers. 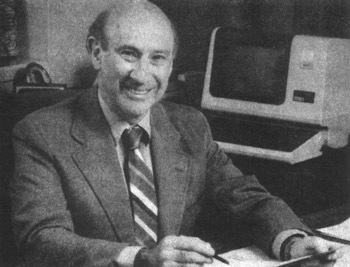 In 1980, Dr. Pariser became Research Director of the newly formed Polymer Products Department. In 1981, he became Director for Polymer Science in the Central Research & Development Department. 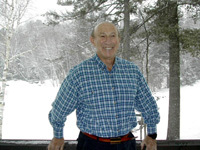 Born in Harbin, China, Dr. Pariser received a BS in chemistry from the University of California, Berkeley in 1941 and a PhD in physical chemistry from the University of Minnesota in 1950. He is married to the former Margaret Louise Marsh. Dr. Pariser is on the Advisory Board, Journal of Polymer Science; Editorial Board, New Polymeric Materials; IUPAC CHEMRAWN Committee; National Research Council Committee on Materials Science & Engineering; and the National Science Foundation Advisory Comrnittee on materials. He has served on the National Research Council as Co-Chairman, Ad Hoc Panel on Polymer Science & Engineering (1979—81); the Committee on Chemical Sciences (1979—82); and Co-Chairman, Panel on High Performance Composites (1984). He has also served as Associate Editor of the Journal of Chemical Physics, Chemical Physics Letters, and Du Pont Innovation. His professional associations include the American Chemical Society, Society of Rheology, American Association for the Advancement of Science, New York Academy of Science, American Physical Society, Phi Lambda Upsilon, Sigma Xi, National Research Council, and National Science Foundation. “Challenges, Needs and Opportunities in Polymer Science and Engineering,“ The Society of Polymer Science, Japan, Commemorating die 3Oth Anniversasy, Nagoya, Japan, October 18, 1982. “New Orientations for Polymer Science and Technology,“ The Israel Chemical Society SOth Anniversary,Jerusalem, Israel, April 12, 1984. “Control of Structure in Polymenc Systems,“ Japan-U.S. Polymer Symposium, Kyoto, Japan, October 28, 1985. “Polymers: Reality and Dreams,“ AAAS National Meeting, Philadelphia, Pennsylvania, May 27, 1986. “Polyimides: Versatile Specialty Polymers,“ 2nd SPSJ International Polymer Conference, Tokyo, Japan, August 21, 1986. “Polymer Education from the Perspective of Industry,“ Paul J. Flory Symposium, National ACS Meeting, Anahelm, California, September 11, 1986. “Molecular Engineering and Overlap (Revisited),“ Ernest L. Eliel and Robert G. Parr Symposium, University of North Carolina, Chapel Hill, North Carolina, March 20, 1987. “Composites: Perspectives and Recommendations,“ IUPAC CHEMRAWN VI, World Conference on Advanced Materials, Tokyo, Japan, May 21, 1987. “Advanced Materials Science: The Overlaps,“ Asilomar Polymer Conference, Monterey, California, February 2l, 1988. “Industrial Corporate Research: Perspectives on Innovation,“ International Workshop on Innovation, The Samuel Neuman Institute and the Von Len Institute, Jerusalem, Israel, May 25, 1988. “Materials Science in Du Pont,“ Advanced Materials Conference celebrating the SOth anniversary of Nylon and Teflon, Wilmington, DE, October 24, 1988. “Multidiscipliuary Aspects of Advanced Materials Development,“ Conference on High technology Materials, Virginia Commonwealth University, Richmond, VA, January 6, 1989. “Directions in Polymer Science,“ Workshop on Chemical Research .Frontiers, cosponsored by national academies of Mexico and U.S.A., Tequesquitengo, Mexico, May 24, 1989. “Whither Polymer Research,“ Polymers Gordon Conference, New London, NH, June 29, 1989. Copyright © Mar. 10, 2002 by U. Anders, Ph.D.